Hosts: Vincent Racaniello, Massimo Palmarini, John MacLauchlan, Emma Thomson, and Hande Harmanci. 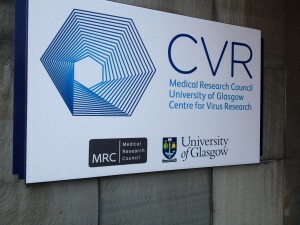 Vincent travels to Scotland to meet with members of the Centre for Virus Research at the University of Glasgow to discuss their work on hepatitis C virus and jaagsiekte sheep retrovirus. 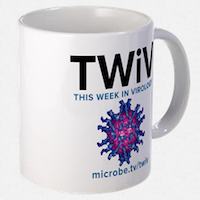 Click the arrow above to play, or right-click to download TWiV 188 (78 MB .mp3, 108 minutes). I have a question about the word “core”. When I was working on West Nile virus, the words “capsid” and “core” were used interchangeably and were a matter of preference. Is that the case for HCV, or are capsid and core two different structural proteins? The capsid is composed of the core protein; but some people also call it the capsid protein. Fortunately, the abbreviation for the protein is C. While the usage seems a matter of preference, I would say that nucleocapsid or capsid is most accurate. Core doesn’t convey the same information.